Regular readers of this blog will probably have realised quite some time ago that I am a big fan of blogging as a marketing tool. I will happily wax lyrical about the importance of generating quality content, most recently in this blog article about how small businesses can make blogging central to a content marketing strategy. So I was delighted by the findings of a recent survey that really does indicate that blogging is ‘where it’s at’. Published by Technorati, a leading US social media company, the 2013 Digital Influence Report presents insights into the use of social media following surveys of consumers, brand marketers and ‘influencers’, the definition of which is ‘a person who has greater than average reach or impact through word of mouth in a relevant marketplace’. What I took from this report is that there is overwhelming and compelling evidence that consumers rely heavily on blogs for advice and recommendation when making purchasing decisions. One of the most significant findings is that blogs are right up there with more ‘official’ websites – 56% of consumers form opinions by visiting retail sites and 34% turn to brand sites, whilst a very impressive 31% are motivated by what they read on blogs. This compares to a mere 8% of consumers who use Twitter for the same purpose. And why do bloggers have such clout? Because they are generally considered to give honest and sincere reviews of products and services, they are giving their opinion and will tell it as they find it – plus they aren’t being paid to write favourable endorsements. In other words, they are building trust. This is something that can come out of even quite small blog communities – when it comes to blogging, size really doesn’t matter, something that the big brands just don’t seem to understand. Popularity doesn’t necessarily equate with trust, and a more intimate experience in a smaller community is much more likely to generate positive action. 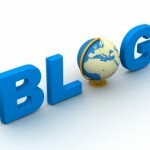 Good quality content continues to be the key to a successful blog. Focusing on providing value to your readers through advice and/or opinion builds that all-important element of trust and will ensure a strong and loyal community. If you want to widen your net and attract a bigger audience, the trick is to use social media to ‘advertise’ your blog – the likes of Facebook and Twitter should be seen as a vauable means to an end i.e. it’s your online ‘word of mouth’ marketing to direct people to your blog, get them reading your latest posts and then pick up on any calls to action. Twitter undoubtedly has its place in your marketing toolbox, but your blog is, ultimately, the most valuable tool in your collection. Twitter with its short and sweet 140 characters can only convey so much about your brand and what you do or offer. It is through your blog that you will most effectively engage with your audience, influence their thinking and convert them into loyal customers. And that will only happen if they trust you and trust is built organically through an ongoing dialogue – tricky to do within a mere 140 characters, but eminently possible through regular articles of 400-500 well chosen words. 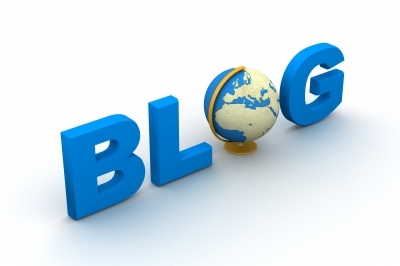 Do you agree that blogging is well worth the effort? I’d love to hear your views. Want to hear more about my views and tips on blogging – watch me speaking on the topic below.